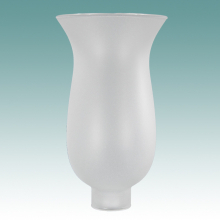 All of these shades have 1 5/8" fitters unless otherwise specified. 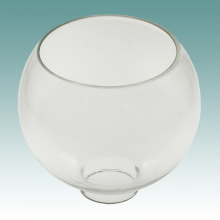 Please click on each image for more information and detailed measurements. 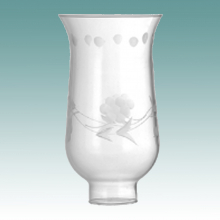 If there is a limited quantity available, we will include that in the item description. 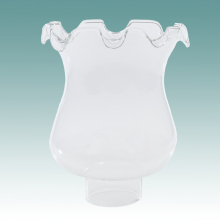 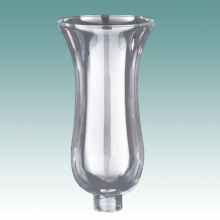 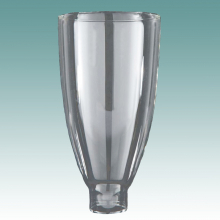 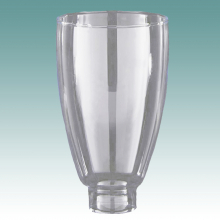 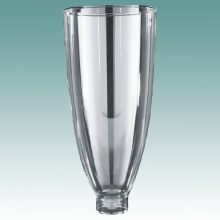 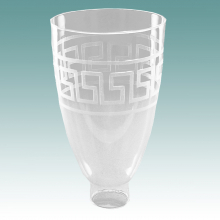 #4450 - Clear Hurricane 1 5/8" x 6 3/4"
#4451 - Clear Hurricane 1 5/8" x 8 1/4"
#4452 - Clear Hurricane 1 5/8" x 10 1/4"
#4456 - Grape Etch Clear Hurricane 1 5/8" x 6 1/2"
#4458 - Grape Etch Clear Hurricane 1 5/8" x 10"
#4460 - Floral Etch Clear Hurricane 1 5/8" x 8"
#4461 - Floral Etch Clear Hurricane 1 5/8" x 10"
#4474 - Clear Ruffle Top Hurricane 1 5/8" x 6 1/2"
#4570 - Clear Cut Hurricane 1 5/8" x 6 3/8"
#4453 - Frosted Hurricane 1 5/8" x 10"
#4462 S - Cranberry Grape Etch Hurricane 1 5/8" x 6 1/2"
#4463 S - Cranberry Grape Etch Hurricane 1 5/8" x 8"
#4468 - Clear Williamsburg 1 5/8" x 6 1/2"
#4470 - Clear Williamsburg 1 5/8" x 7"
#4471 - Clear Williamsburg 1 5/8" x 8 3/8"
#4477 - Clear Williamsburg Shade 1 11/16" x 10 3/8"
#4493 - Greek Key Cut Clear Glass 1 5/8" x 7 1/2"
#4733 - Clear Crimped Top 1 5/8" x 5"
#4485 - Floral Cut Clear Hurricane 5"
#4476 - Colonial Frosted Grape 1 5/8" x 5"
#4732 - Frosted Crimped Top 1 5/8" x 5 1/4"
#4494 - Optic Smoke Hurricane Shade 1 5/8" x 5"
#4481 - Pearlized Amber Optic Shade 1 5/8" x 6 3/4"
#4504 - Clear Glass Hurricane 1 13/16" x 8 3/4"
#4673 - White & Blue Tulip Shade 2" x 4"
#4483 - Satin White Glass Shade 2" x 4 7/8"
#4484 - Amber Optic Glass Brandy 2" x 5"
#4565 - Clear Glass Hurricane 2" x 5 1/8"
#4566 - Satin White Glass Hurricane 2" x 5 1/8"
#4497 - Clear Optic Hurricane Shade 2" x 6"
#4574 - Green Glass Hurricane 3 5/8" x 8"